By accessing, browsing and/or using this website, you acknowledge that you have read, understood and agree to be bound by the terms of this Legal Notice and Terms and Conditions of Sale. If you do not agree to these terms, do not use this website. Information may be changed or updated without notice. The Athletic Edge may also make changes in the content, products or services at any time without notice. The Athletic Edge assumes no responsibility regarding the accuracy of the information that is provided by The Athletic Edge and use of such information is at the users' own risk. Information on this website may contain technical inaccuracies or typographical errors. The Athletic Edge makes no representations whatsoever about any other website that you may access through this one. When you access a non-Athletic Edge website, even one that may contain The Athletic Edge trademark, please understand that it is independent from The Athletic Edge, and that The Athletic Edge has no control over the content on that website. In addition, a link to a non-Athletic Edge website does not mean that The Athletic Edge endorses or accepts any responsibility for the content, or the use, of said website. You are responsible for taking precautions to ensure that whatever you select for your use is free of such items as viruses, worms or other items of an invading or destructive nature. You may not decompile, reverse engineer, disassemble, rent, lease, loan, sublicense, create derivative works from The Athletic Edge or its site, which includes the information and software made available therein. You may not copy, modify, reproduce, republish, distribute, transmit or use for commercial or public purposes information provided by The Athletic Edge except to the extent required in order for you to use our site in the manner expressly intended by The Athletic Edge. The text, graphics and other information on this website are protected by copyrights of Pivotal Health Solutions (PHS) and The Athletic Edge. By furnishing information, PHS and The Athletic Edge does not grant any license to any copyrights, patents or any other intellectual property rights. Unauthorized use is prohibited. All rights reserved. All other trademarks or copyrighted material are property of their respective owners. RelaxRightTM, ErgoStyleTM, ErgoWave®, i-Trac®, Lyflo SelectTM, Custom CraftworksTM, Cloud 9TM Medical Gel Products, Omni Cervical Relief PillowTM and SaniCoverTM are registered trademarks of PHS. Other trademarks or service marks identifying the products described on this site are owned by their respective owners, and PHS makes no representation regarding such marks. PHS's obligations with respect to its products and services are governed solely by the agreements under which they are provided. If you obtain a product or service from PHS or The Athletic Edge off this website that is provided without an agreement, that product or service is provided "AS-IS" with no warranties whatsoever, express or implied, and your use of that product or service is at your own risk. The Athletic Edge does not warrant or represent that the content of the website is accurate, or that the website's operation will be error free or uninterrupted, or that it will be free of viruses or other harmful components. You use the website at your own risk. The Athletic Edge does not warrant that your use of materials displayed on this website will not infringe rights of third parties not owned or affiliated with The Athletic Edge. Information published at this website may refer to products, programs or services that are not available in your country. Without limiting the foregoing, the website is provided "AS IS" without warranty of any kind, either express or implied, including, but not limited to, the implied warranties of merchantability, fitness for a particular purpose or non-infringement. Some jurisdictions may not allow exclusion of implied warranties, so some of the above exclusions may not apply to you. Should any part of this agreement be held invalid or unenforceable, that portion shall be construed consistent with applicable law and the remaining portions shall remain in full force and effect. To the extent that anything in or associated with the website is in conflict or inconsistent with this agreement, this agreement shall take precedence. Our failure to enforce any provision of this agreement shall not be deemed a waiver of such provision nor of the right to enforce such provision. We use the information you submit to us, including your personal information, to communicate with you, enhance your visit to our site, process orders and effectively provide the products and services you have requested. We may also use information for internal analysis and marketing. We will not furnish personal information to an outside organization for its use in marketing or solicitation, without your prior consent. You agree that we may use your personal information to: provide the services and customer support you request; resolve disputes, collect fees and troubleshoot problems; prevent potentially prohibited or illegal activities; enforce our Terms and Conditions; customize, measure and improve our services and our site's content and layout; tell you about targeted marketing, service updates and promotional offers; and compare information for accuracy, and verify it with third parties. We may disclose personal information to respond to legal requirements or authorities, enforce our policies or to protect anyone's rights, property or safety. We may also share your personal information with a third party should we plan to merge with or be acquired by that party. 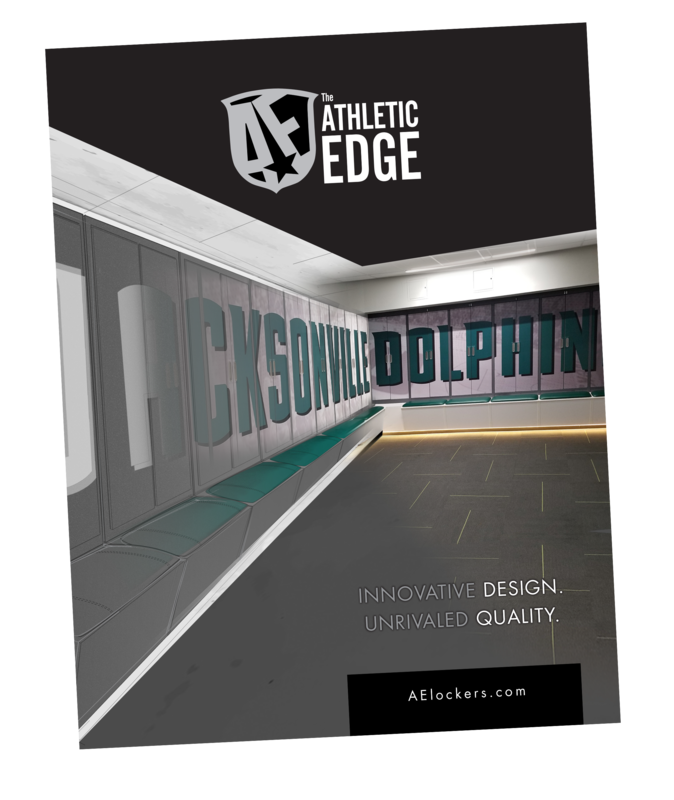 Please note that any information or material sent to The Athletic Edge will be deemed NOT to be confidential except to the extent expressly indicated herein. By sending The Athletic Edge any information or material, you grant The Athletic Edge an unrestricted, irrevocable license to use, reproduce, display, perform, modify, transmit and distribute those materials or information, and you also agree that The Athletic Edge is free to use any ideas, concepts, know-how or techniques that you send us for any purpose. The Athletic Edge may at any time revise these terms by updating this posting. By using this website, you agree to be bound by any such revisions and should therefore periodically visit this page to determine the then-current terms to which you are bound. We attempt to protect your personal information against unauthorized access and disclosure. However, as you probably know, third parties may unlawfully intercept or access transmissions or private communications, and other users may abuse or misuse your personal information that they collect from the site. Therefore, although we work very hard to protect your privacy, we do not promise and you should not expect that your personal information or private communications will always remain private. IN NO EVENT WILL THE ATHLETIC EDGE BE LIABLE TO ANY PARTY FOR ANY DIRECT, INDIRECT, SPECIAL OR OTHER CONSEQUENTIAL DAMAGES FOR ANY USE OF THIS WEBSITE OR ON ANY OTHER LINKED WEBSITE, INCLUDING, WITHOUT LIMITATION, ANY LOST PROFITS, BUSINESS INTERRUPTION, LOSS OF PROGRAMS OR OTHER DATA ON YOUR INFORMATION HANDLING SYSTEM OR OTHERWISE, EVEN IF WE ARE EXPRESSLY ADVISED OF THE POSSIBILITY OF SUCH DAMAGES. ALL INFORMATION IS PROVIDED BY THE ATHLETIC EDGE ON AN "AS IS" BASIS ONLY. THE ATHLETIC EDGE PROVIDES NO REPRESENTATIONS AND WARRANTIES, EXPRESS OR IMPLIED, INCLUDING THE IMPLIED WARRANTIES OF FITNESS FOR A PARTICULAR PURPOSE, MERCHANTABILITY AND NONINFRINGEMENT. Information that The Athletic Edge publishes on the web may contain references or cross references to The Athletic Edge or other PHS products and services that are not yet available, no longer available or not available in certain locations.